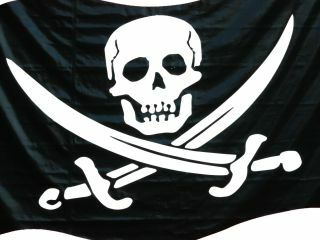 Piracy - increases book sales - who would have thought! The multi-million selling author Paulo Coelho has demonstrated that online book piracy has increased sales of his books in hard copy. One of Coelho's fans posted a Russian translation of one of his novels online and sales of his books increased from 3,000 to 100,000 to 1m in three years, claims a report in The Guardian. "This happened in English, in Norwegian, in Japanese and Serbian," Coelho said. "Now when the book is released in hard copy, the sales are spectacular." However, Coelho ran into a spot of bother with his US publisher, HarperCollins, when the company's ex-boss Jane Friedman pulled him up on a supposedly unauthorised version of one of his books that the author had linked to from his own website. The problem? The unauthorised version was found to contain Coelho's own author's notes! A workable compromise was reached between the author and his publisher and readers can now read a different Coelho novel each month for free via HarperCollin's online reader. While Coelho is fully aware of the possibility of new technologies (he Twitters, he blogs, he encourages his readers to submit their thoughts on developing stories – or their pictures to Flickr) The Guardian notes that "he still believes in print." The key here is that this: "isn't a matter of print v digital. It's a question of what comes when you add digital to print. "What does it bring him? "It gives me a lot of joy," he said, "because writing is something you do alone."